The basic life-saving procedures are the EMT skills that are needed to save someone’s life when they are in immediate danger. These skills will include checking and clearing the airway of the injured or ill person to make sure that there is nothing obstructing the patient’s ability to breathe, checking the patient’s breathing to make sure they are not in shock and that the chest movements and intake of air is normal, and checking their circulation to see if there is no internal bleeding and that all internal organs and body tissue is receiving an adequate supply of blood and oxygen to prevent the patient from going into shock. This procedure is called the ABC of basic first aid. After the basic checks have been performed the EMT has to then check for external bleeding, broken or protruding bones and any other injuries that will indicate the treatment that will follow. During the secondary check and on the way to the hospital other checks are performed such as the blood glucose levels as well as blood pressure. The heart rate is also constantly monitored as a raised heart rate indicates that the patient is in distress and too much blood to an injured area may cause more damage. Should the patient go into shock or have a seizure, as an EMT you will need to know what medication to give the person and what to look out for, such as a medical alert bracelet that will show any allergies or medical conditions the patient may have. Should the patient have medication that they need to take but is unable to due to their condition, the EMT can help them to take their medication and monitor them until they are in a stable condition. As an EMT you will need to know what medication you are allowed to administer by looking at the client’s circumstance, and taking any allergies or medical conditions into account. For example, if the client is having a heart attack, you need to know the signs of a heart attack so that you do not misdiagnose a patient that might be having a stroke and not a heart attack. Administering the wrong medication could either impair the patient’s recovery or cause death. You need to know what signs to look for and when you can give medication. The first hour after a medical emergency is known as the golden hour. This timeframe is very important to the patient because if the patient cannot get help during the first hour, then it may be too late to save their life. 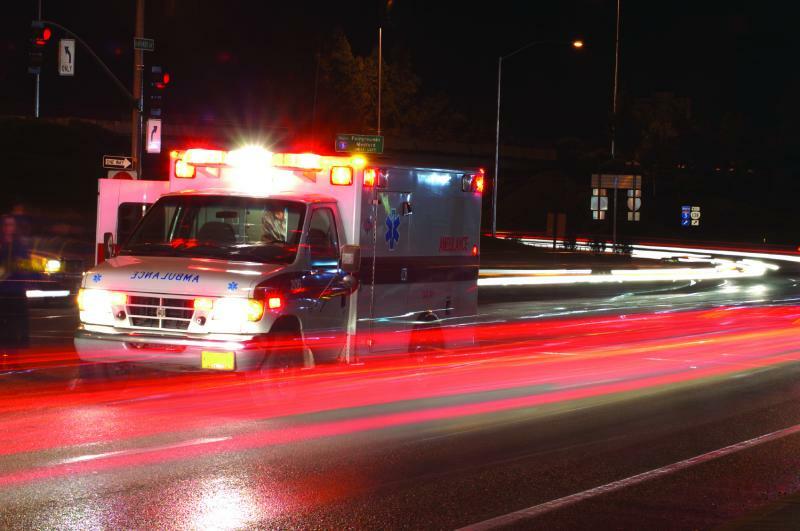 If the EMT cannot help in the ambulance or on the scene then the patient will need to get to a hospital as quickly and as safely as possible. As an EMT you will need to know how to drive quickly and defensively to get to the hospital in time to save your patient. With so many cars on the roads these days it takes just a split second to cause an accident and you need to know how to avoid these situations and how not to cause any accidents at the same time. You will also need to take the condition of your patient in consideration. Driving too wildly may cause your patient large amounts of discomfort. EMT skills are more advanced than those of a first aider. The first aider will be trained to assess the situation based on the scene and will know how to keep the patient alive and immobilized until you get there. Once the first aider has given you a report on what the cause of the trauma was and how they handled the situation, you will need to assess what needs to be done and whether the patient can be moved or not and if they cannot be moved, what procedures can be followed to save the person’s life. There is always a chance that there may not be a qualified first aider on the scene and you will have to perform basic first aid first before moving the patient for transport to hospital. When getting to the scene of the trauma you may need to help the patient in a way to just get him to the hospital where the hospital staff will then take over. This could include bandaging or stitching, ventilating or CPR. These procedures can be continued in the back of the ambulance to the hospital. What Else Can An EMT Do? The skills an EMT needs entails everything they can do to save the life of someone who has a medical emergency. This would include all pre-hospital checks and care of the patient so that they are treated and monitored as much as possible before being admitted to hospital. Sometimes when there is something minor, an EMT does not even have to take the patient to the hospital, but can administer care that is life-saving at the place of the incident. Monitoring the patient’s vital signs which include their pulse, breathing, circulation and their mental state. If a patient starts to look confused or delirious, it may indicate head trauma or not enough oxygen. Responding to any fluctuations in the vital signs of the patient which means that if the patient’s heart rate drops or speeds up or if the patient loses consciousness, the EMT must know how to respond and what to do. Giving the medical staff of the hospital a rundown of what happened and what the condition of the patient is at handing over stage so that they know to which ward to transfer him and what medication or procedure to administer. Administer efficient care to the critically ill or injured which could include, Clearing and maintaining a clear airway, Ventilating a patient that has a problem with their breathing or cannot breathe at all. Administering CPR and knowing the different ways of doing CPR in case the patient is not in a text-book situation. You may need to do CPR on your own, or you may have someone who can help you to administer the CPR. You may need to administer CPR on a child and will need to know what to do and how to handle the situation. Controlling any hemorrhage or loss of blood through the use of different types of compresses and bandages. You will need to know how to bandage up severe cuts or deal with patients who may have an object still lodged in the flesh. There may be severed limbs that need to be handled carefully for reattachment and it is up to the EMT to know what to do and how to handle the situation so that the patient can retain consciousness, not lose a massive amount of blood and can get to the hospital as quickly as possible. Treating and preventing shock which can be a dangerous situation for a patient who is badly injured. Bandaging wounds and immobilizing injured limbs. Wound care is not as easy as it sounds because there is always the possibility of infection in wounds. You will need to know how to dress wounds and how to clean wounds. There are also different kinds of bandages and dressings that are for different uses and different kinds of injury and it is up to the EMT to know how to bandage the patient in such a way that they are as comfortable as possible, doesn’t cause any more damage to the area and in such a way that the bandage will not become another hazard by getting caught on another object. Assisting patients in taking their medication. It is easy for a patient to forget to take their medication, especially when it comes to the elderly and when there is a medical emergency, the solution may be as simple as reminding the patient that they have not taken their medication and then helping them to do so. Allergic reactions may also prohibit a patient from taking the medication they need to counteract the allergic reaction and they may need other medication from you to bring them back to a state where they can take their needed dosage. Assisting in emergency childbirth. Unfortunately babies being born on the way to hospital or at home does not only happen in the movies. It can happen and in these cases the mother and newborn needs to get to the hospital as quickly as possible after the birth to avoid any complications. The EMT must know how to assist in childbirth under normal and complicated circumstances to be prepared, should the need for this skill arrive. The EMT skills that you learn on the basic level are the skills that the entire medical profession is based on. Should you not be able to perform the most basic operations and checks, you will not be able to succeed in any other medical field. As an EMT you need to be aware of things that a passer-by may not pick up on. You need to know what to look out for in a patient’s basic vital signs. You can have the most sophisticated equipment in the world, but if you forget to check the patient’s airway, breathing and circulation, everything else you may attempt may not bear any fruit. For example, if you do not check the patient’s airway to see if something is obstructing it, you may not get to the cause of the problem. If a patient’s airway is not held clear while performing CPR then the exercise is pointless. Another skill that an EMT should possess which can bring them far in their career is the basic skill of practicing tact and empathy. You need to show your patient and the family of your patient that you respect them and give them a sense of dignity when they are a very low point. Although this is not a skill that can be taught, it is very important in the medical field. Knowing how to calm the patient is also another skill that will be very useful to an EMT. This skill is also one of the skills that are acquired while on the job, because no amount of simulation can prepare you for the trauma that a patient goes through when they have been injured, especially when it is a child. You need to keep your patient calm if they are conscious while assessing them and treating them at the same time. Should your patient be unconscious, you need to talk to them as well in soothing tones and ask them questions and tell them what happened and is going on so that should they regain consciousness, you will be aware of the fact and they may be calmer when hearing your voice as they come back to themselves. Some of the skills of an EMT can be learned in school out of a textbook, but some skills can only be learned while you are on the job and in the situation. Having a clear mind and an open heart may help you along your way as well.